Burger King wants you to stand up to bullying just as you would to seeing a burger being smashed. In a new commercial-meets-PSA that seeks to address one of the major acts of violence against young people in America today, the fast food chain mixes a promo for their Whopper Jr. with an anti-bullying campaign. The video starts out with kids talking about how hard it is to intervene when they witness someone else getting bullied. “It’s been hard for me to stand up for other people because I feel like I’m already a target,” one explains. “It’s just easier to do nothing,” another says. Next, you see a kid being harassed by bullies (all actors) in a Burger King restaurant. The customers are real and they look visibly concerned — but very, very few actually speak up. “We bullied a High School Jr. and a Whopper Jr. to see which one received more complaints,” text on the video reads. But when customers receive burgers that have been smashed by a Burger King employee, however, they walk right past the kid being harassed to complain about their squashed food. And that’s when we find out that 95 percent of customers in the restaurant reported the bullied burger ... but only 12 percent stood up for the high school junior being bullied. If you find yourself craving fast-food apple pie. have Popeye’s Hot Cinnamon Apple Pie. Compared to other fast-food apple pies, this one is the least terrible option with 310 calories and 12 grams of sugar. If you're trying to keep calories low but find yourself at Wendy's, opt for a junior size vanilla Frosty instead of a chocolate. You’ll be cutting 500 calories and 10 grams of fat. When it comes to cookie craving try McDonald’s oatmeal raisin cookie which has 140 calories or pick up Pret a Manger’s Harvest cookie (pictured) which has 280 calories but 5 grams of protein and 3 grams of fiber. Taco Bell actually offers the second healthiest dessert, the teeny tiny Cinnabon Delights. These icing filling donut holes are just 160 calories. The best option of them all is a Starbucks petite vanilla bean scone, just 120 calories, 8 grams of sugar and 4.5 grams of fat. The @BurgerKing anti-bully PSA is one of the best things I’ve seen in awhile. Well done, BK lounge! But not everyone was feeling the warm fuzzies over the ad though. One person wrote in the comments, “Nice way to bully your customers, BK.” One called the commercial a staged publicity stunt, posting, "All of these are actors. Or burger king has the best damn camuflaged microphones and cameras ever." Burger King remains proud of its latest campaign. 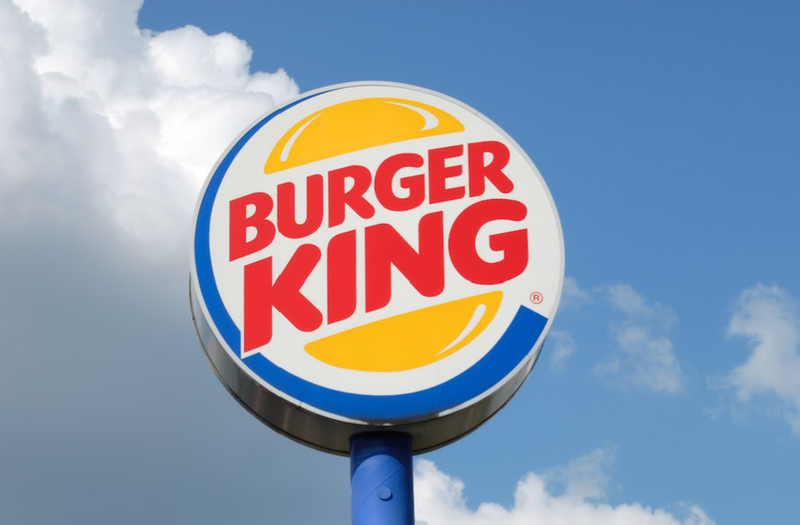 In a statement emailed to TODAY Food, Burger King's head of global brand management Fernando Machado said, “The campaign is a first step to try to make a difference. That's why BK partnered with No Bully to create awareness and we are looking into how to extend the relationship." The chain is working with NoBully.org, a nonprofit that began in 2003 with the goal of igniting student compassion to eradicate bullying and cyberbullying. While the message is an important one (speak up for humans being bullied as you would for your food), it’s a bit ironic that the chain is using this as a platform when they recently “bullied” rival fast-food restaurant Wendy’s with their new spicy chicken nuggets.